Tapeworms are parasites that live in the intestines of animals and humans. These parasites are worms which flatten out to resemble a tape measure and require a host; they cannot live on their own. The Taenia saginata, or beef tapeworm, is a type of parasite that specifically attacks cattle and is usually ingested by the animal while still in the egg or cyst form. The tapeworm will travel to the intestine where it develops into an adult parasite, attaches itself to the walls of the intestines and can live for years. Humans who eat undercooked beef that has been infected with tapeworm cysts can also become infected. Biltricide is the most common medication for tapeworm infection. The medication is quite toxic to the parasite and works by opening up membranes in the parasite and causing paralysis, which aids the body in expelling the worm through the feces. This medication must be prescribed by a veterinarian and can be given in oral form or by injection. There are a variety of deworming medications available at farm and livestock stores. Panacur Suspension is used to control all types of worms in both cattle and horses, and Equimax paste wormer can also be used in both cattle and horses and controls all major parasites including the tapeworm. Valbazen is another deworming medication which is effective against all types of intestinal parasites and can be used in pregnant cattle during the first 45 days of pregnancy. These types of medications usually come in liquid, paste or granular form and can be mixed in the animal's food or water. 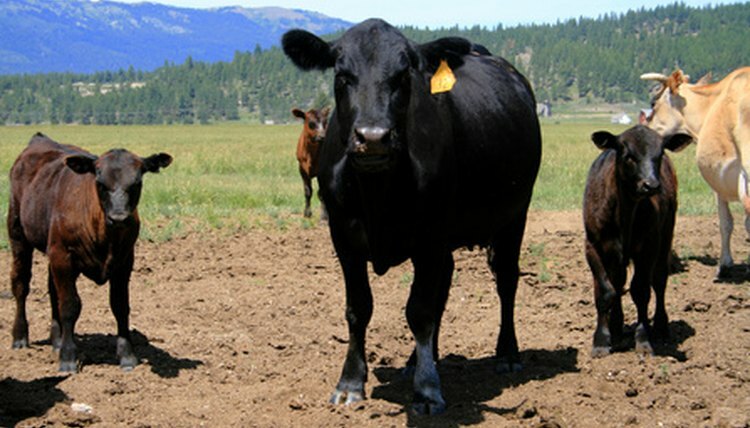 Corticosteroids such as prednisone can often be given to cattle to help get rid of tapeworm infections. This must be prescribed by a veterinarian, but there are a variety of home remedies that individuals may use to treat the cattle as well. These include pumpkin seeds, powdered areca, turpentine and pomegranate root bark. These ingredients can be mixed with grain and fed directly to the infected animal.